Impressive, elegant and spacious luxurious Georgian house overlooking the oldest Yacht Club in the world offering an amazing self catering house sleeping 12 ideal for family holidays and group events. 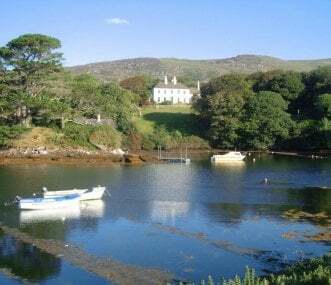 Lough Ine is well known as one of the most romantic spots in West Cork. 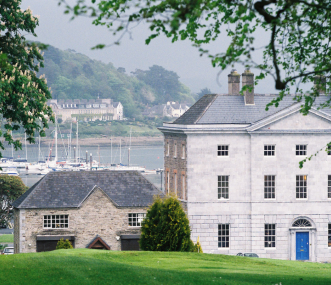 The house is on the banks of this enchanting lough, Europe’s largest seawater lake. Cook and staff on request. Springfield Castle is situated in the heart of County Limerick on a magical 200 acre wooded estate and is approached along a magnificent three quarter mile long avenue, lined with ancient lime trees. Large flexible house sleeping up to 30 suitable for multi generational family groups, birthday parties, bridal, pre-wedding engagement parties and hen party groups. Large dining room, 2 lounges. 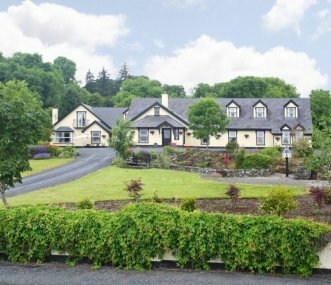 Located in the picturesque mountain village of Kilfinane, Co. Limerick, with shops, pubs & restaurant just a stroll away. Many outdoor activities. Perfect for groups of all types to book exclusively.